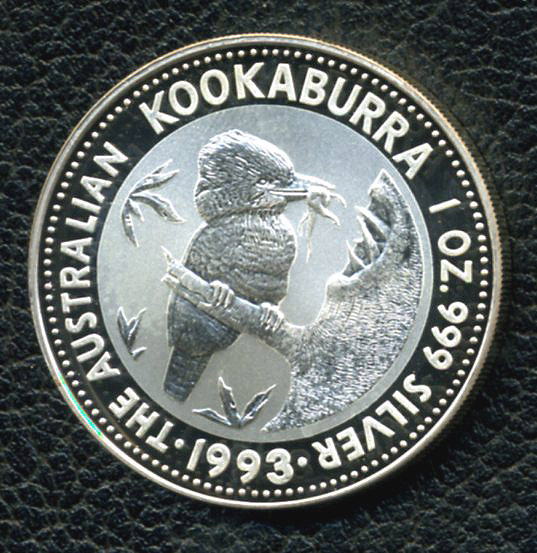 The Australian Silver Kookaburra Coin is a very nice looking coin that was designed somewhere around 1990 and contains an image of Queen Elizabeth the 2nd on the front just like the Canadian Silver Maple, and the back has an image of the Kookaburra a king fisher bird that is native only to Australia and New Guinea. What’s super cool is the fact that this coin comes in 4 sizes. 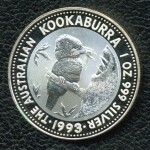 The coins like most silver bullion is .999 pure, as a standard. 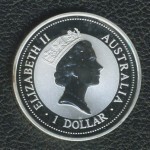 Mint dates are from 1990 to present. The official site for the Royal Australian Mint is http://www.ramint.gov.au but the coin can be bough at nearly all major precious metal dealers as well as ebay. Happy hunting, and thanks for reading.